If you are from central Illinios, then you are probably familiar with Jumer’s. For those who are not from my neck of the woods, Jumer’s was a small hotel and restaurant chain in central IL. The one in Bloomington specialized in French cuisine and the one in Peoria was German. Both have changed to different restaurants, but the Jumer’s Cinnamon Rolls will be remembered by many. At the table, they served a little basket of assorted breads and rolls and my favorite treat in that basket were these cinnamon rolls. They are not the gigantic Cinnabon type rolls slathered in cream cheese frosting. 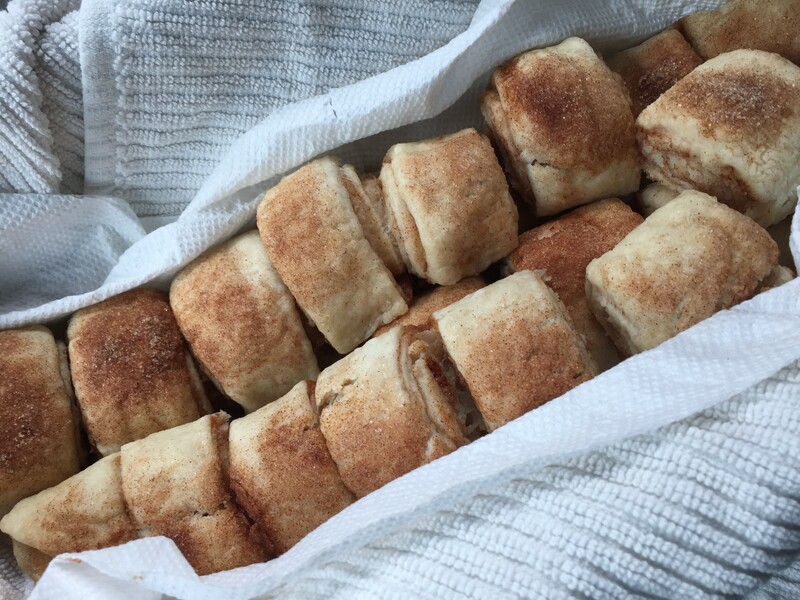 Instead, the Jumer’s Cinnamon Rolls are dainty little rolls dusted with cinnamon and sugar. They are simple to make and compliment any breakfast, brunch, or afternoon tea! Combine yeast and warm water and let this sit this aside. In a medium bowl, combine flour, salt, baking powder. 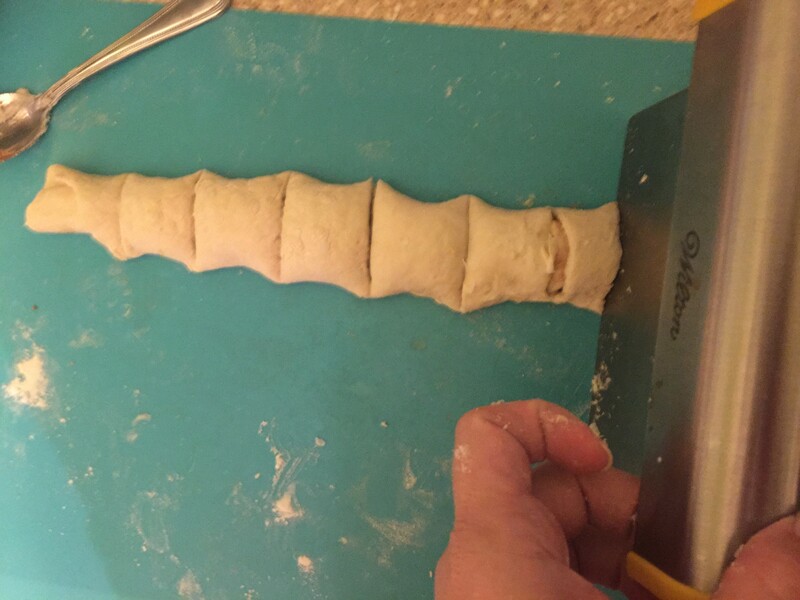 Cut in the cold butter and work either with a pastry cutter, fork, or your clean hands. Once the butter is all worked in, pour in the cold water. 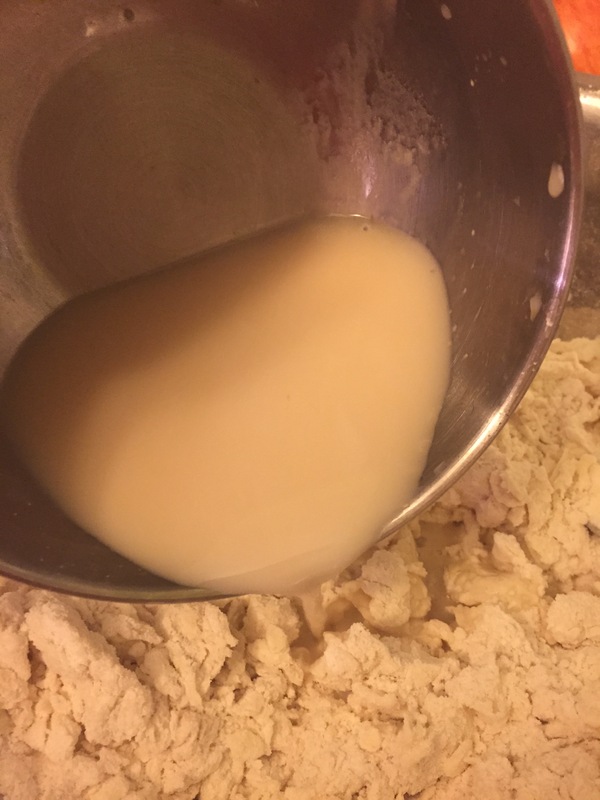 Pour in the yeast, warm water mixture and combine to form a dough. You may need to add a few more tablespoons of water if needed. Knead this gently for just a couple of minutes and set aside for around 10 minutes. In the meantime, combine the cinnamon and sugar and set aside. 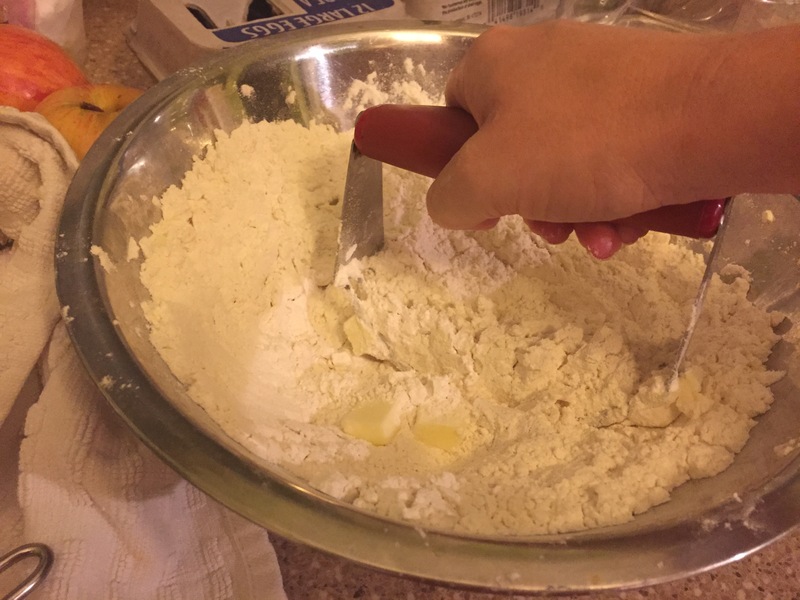 Once dough has sat for 10 minutes, divide it into 4 equal parts. 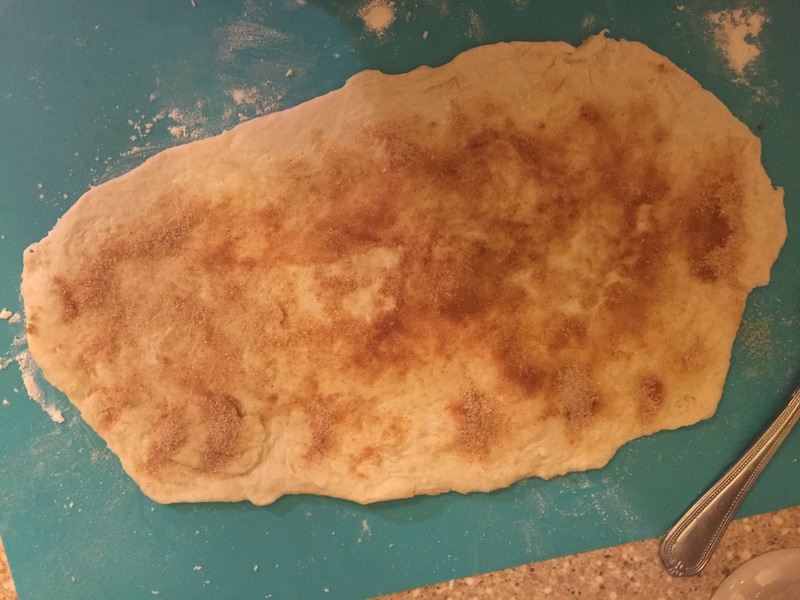 Roll out each part of the dough into a rectangular shape about 1/4 inch or so thick. Roll up beginning with one of the longer sides to form a long roll. 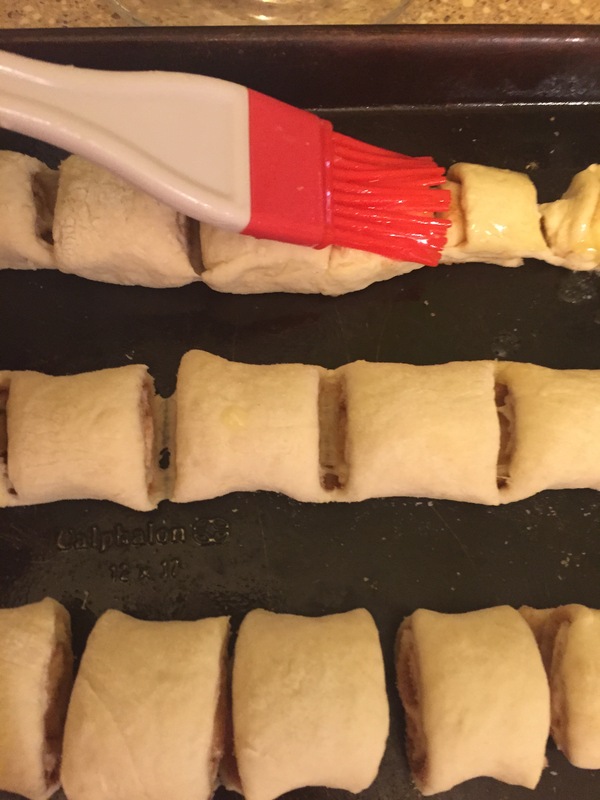 Transfer the roll to a greased baking sheet. Cut slits about an inch to inch and a half apart down the roll. Don’t cut all the way through the roll, though. Repeat with the remaining dough. 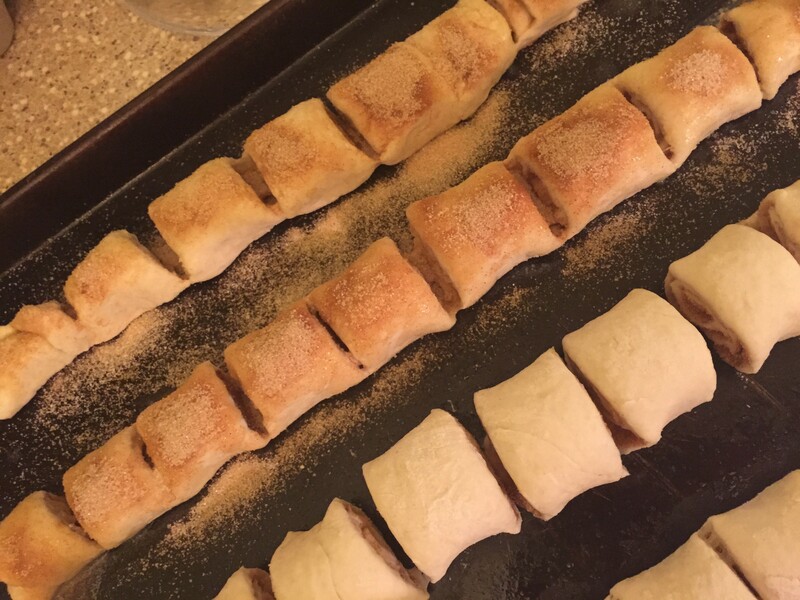 Once all the dough is on the baking sheet with the cuts down the roll, brush with remaining melted butter and sprinkle with remaining cinnamon and sugar mixture. 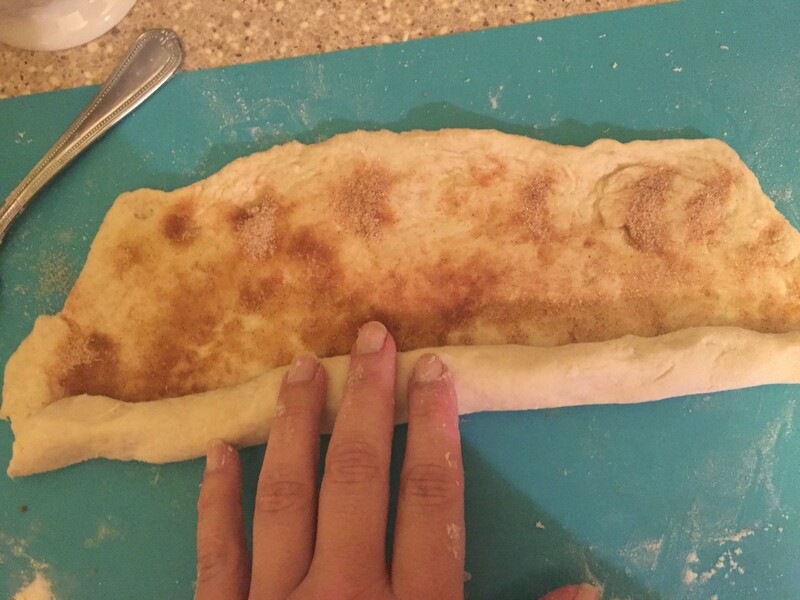 I do just one roll at a time with the butter and cinnamon and sugar to make sure all the butter does not dry so the cinnamon and sugar stick. Bake the cinnamon rolls at 350 degrees F for 20 minutes. Remove from oven and transfer to serving platter or basket. They transfer easier if you didn’t cut all the way through the dough when making the slits. Pumpkin Bars – You will like it, like it, like it! 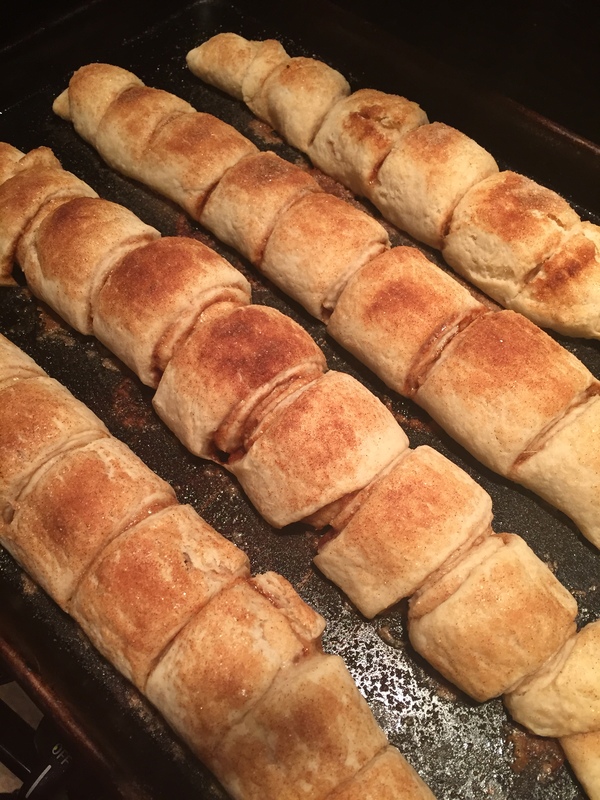 Do you know if this is the original Jumer’s Recipe for Cinnamon Rolls? I’ve seen some recipes that call for Bisquick. Roger, I don’t know if this is the original recipe. I’ve had and used this one for a long time, copied from a newspaper article years ago. I used to use Bisquick, but the Bisquick formula changed a few years ago and I stopped using it. I am trying this recipe, hoping for better results. 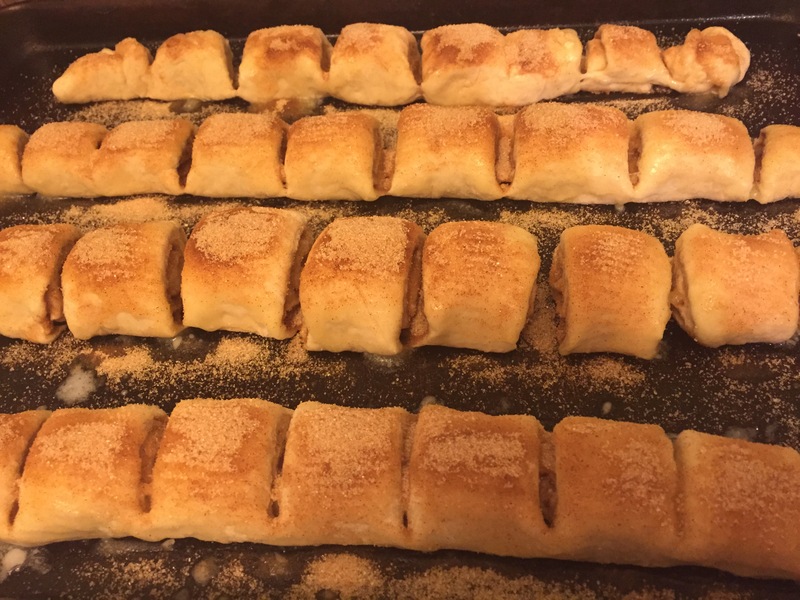 PJ Polley did you like this recipe better? I hope so! 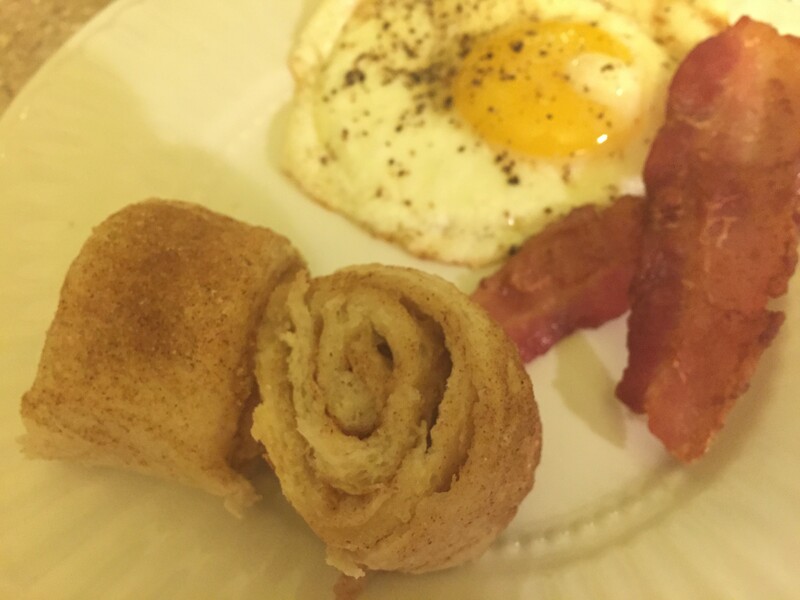 The original recipe (from a Jumer’s baker) is using pancake/biscuit mix… anything BUT Bisquick. 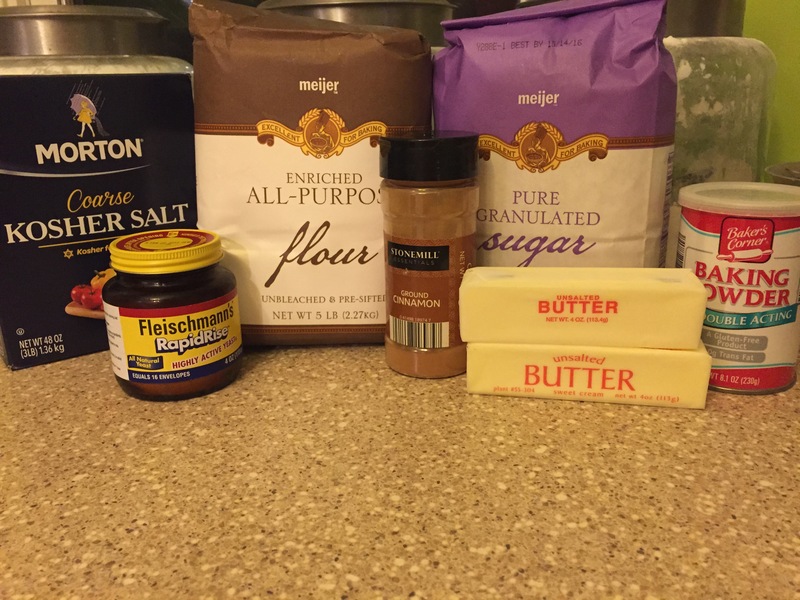 Chris, I have a Jumer’s recipe that uses Bisquick too, not sure if it’s the same one you used. It’s been so long since I made them w Bisquick that I don’t really remember how different they were than this recipe. Yes, I’ve done it the night before including rolling in cinnamon/ sugar and rolling and letting rise in the greased pan overnight in fridge. Thanks for pointing g this out. I’ll update the post for make ahead instructions!! Take care! I’ve never tried freezing them but I’ve froze other dough- allowed it to thaw and rise and it worked so I don’t see why these would be any different. I’ll give a try the next time I make them and let you know. I used to work for a guy that was Jumer’s roll maker for 12 years. He did not use Bisquick. They don’t taste the same. He taught me how to make them. Lucky for you- you have the inside scoop on how to make them. I agree, Biscuick would make them more biscuity and less light and flaky like the real deal ones from Jumer’s. Jumers was so yummy. I did not need to know how to make these but I am so glad you posted it. Now I know what to make for special occasions or Tuesday depending on my hunger for cinnamon rolls. Thank you! They are a fun treat! This is wonderful. I’ve been making these since the 1980’s and they are fantastic. Can’t wait to try these … I miss Jumers so much! Yes it’s 3/4 C. I updated the post. Thank you for pointing that out! How long do you bake this cinnamon rolls . Around 20 minutes until done. Would you happen to have recipe for Jumer’s rye bread–that was delicious?! I’m sorry, I don’t have the recipe for their rye. It was good, though! I remember eating there for special occasions with family and for a couple formal dance dinners. We stayed at Jumer’s and had a big brunch there with family the day after our wedding. Glad you have good memories of the place too! Thank you for sharing. These are my favorite! !